Are you traveling to Singer Island, Florida? Need great accommodations at one of Singer Island hotels, motels, and other lodging? Nestled between the Atlantic Ocean and the tranquil Intracoastal Waterway, the Singer Island Hotel Paradise Cottages formerly Patio Island Resort and Cottages is a Singer Island Resort Hotel and Motel located in northern Palm Beach County and a great destination for folks looking for Hotels, Motels and Resorts near West Palm Beach, Palm Beach Gardens, Jupiter, Juno and the Palm Beaches. For the water enthusiasts, Singer lsland hotels offers everything from fishing, sailing, surfing, windsurfing, parasailing rides, scuba diving, snorkeling & skim boarding to boating and jet skiing. Blocks from the Patio Island Resort you may pick up the Water Taxi for a quick ride into West Palm Beach or Peanut Island. Once in West Palm Beach , experience the shopping, dining and fun along one of the finest downtown areas to embrace the Atlantic Ocean ! Roger Dean Stadium is also close by. We are also a great destination for Palm Beach Crew Housing while in Palm Beach, West Palm Beach or Riviera Beach Yacht facilities. Stay with us for a day before or after your Bahamas Celebration Cruise from the Port of Palm Beach. My in-laws from Poland, my wife, our 6 month old daughter, and I spent 5 nights recently. What a taste of Paridise! Clean rooms, quiet, awesome staff, and a great old Florida feel. We will be back and bring friends and family. Check it out you won't want to leave, we didn't! Thanks Allan! Photos courtesy of Palm Beach CVB, Island Boy, and MangoPhotoVideo.com, Robert Gurel. 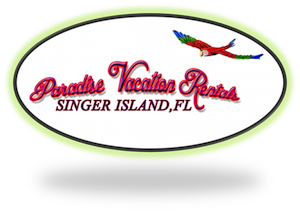 � Copyright Singer Island Hotel & Cottages. All Rights Reserved.